planning to take a hike? This area of Big Creek Park is accessible by two separate entrances, Tupelo Pond in Big Creek Park on Ravenna Road and Bridle Trails at 12000 Woodin Road. Two trails total 2.9 miles. 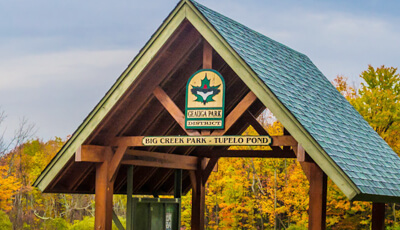 Nearby, Big Creek Park’s main entrance offers nine more trails totaling 3.5 miles. Tupelo Pond in Big Creek Park is home to great views and activities, but doesn't offer facilities. Tupelo Pond in Big Creek Park is home to awesome woodland trails but no facilities. Tupelo Pond in Big Creek Park offers some favorite trails with hills and stream-crossings thrown into the mix. Enter on Ravenna Road and relax by a pond full of fish and aquatic plant species. 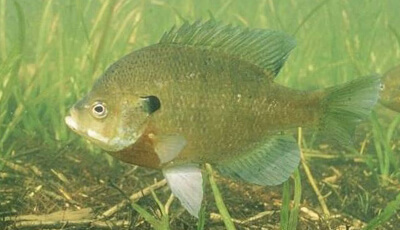 Tupelo Pond in Big Creek Park, about 1.3 acres in size, has abundant aquatic vegetation that provides plenty of habitat for Largemouth Bass, Sunfish and a variety of aquatic insects. 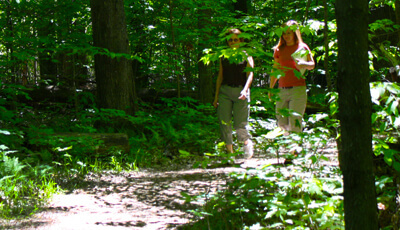 The bridle trail allows park patrons to traverse various aged beech-maple forests and riparian floodplains along Big Creek, which is part of the Grand River watershed.